Dental implants are special dental appliances that are commonly used in dental tooth replacement. 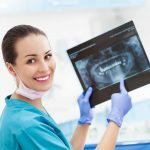 In most cases, dental implants Los Angeles are used to replace teeth since they offer a permanent solution for your dental issue. Getting dental implants requires you to visit an oral surgeon since it involves surgical implanting. The dentist normally removes some of the gum and jawbone to make space for the implant root. The titanium root is placed into the hole made and left to heal. Dental implants provide you with a convenience that other tooth replacement methods do not. At Smile L.A. Downtown Modern Dentistrydental clinic, you can get some of the best dental implant surgery in the city. One of the most essential benefits of dental implants you can enjoy is the permanence of the treatment. Natural teeth are usually rooted inside the jawbone making them firm and strong. A dental implant Los Angeles is placed in exactly the same way making it act like a normal tooth. Looking at dentures and dental crowns, they are not usually permanent making them move about inside the mouth. A dental implant is permanently fixed on the gum to ensure that it does not dislodge or shake. The dental implant helps reinforce the strength of adjacent teeth making it very beneficial to your dental structure. Dental implants are designed to be healthy and durable in order to outlast natural teeth. When getting a dental implant, the dentist will provide an array of dental implants for you to choose from. Smile L.A. Downtown Modern Dentistry dental clinic offers various types of dental crowns for implants. One of the best dental crowns when it comes to durability is metal alloy dental crowns. Metal alloy crowns are made of metallic components that ensure the dental crown is hard and resistant to breaking. You can also opt for gold alloy crowns for those who are interested in a flashy tooth replacement. 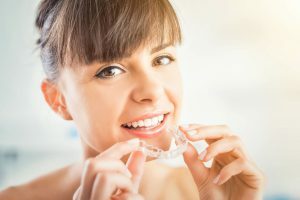 The most common type of dental crown, however, is porcelain dental crowns. They are preferred for their shade and resilience to stains. Porcelain and metal alloy dental implants are usually designed to be resistant to stains. The dental crown is made to be strong and resilient to stains. This is very beneficial since you won’t have to worry about discolored teeth. The dental implants have an aesthetic feel since they have a bright shade and are less prone to staining. Different types of dental implants Los Angeles have different degrees of stain resistance. Always consult the dentist to consider which dental implants are most suitable for you. You can visit Smile L.A. Downtown Modern Dentistry for some of the best dental treatments for dental implants. Dental implants Los Angeles do not get cavities. This is a great benefit for most people since it reduces the risk of getting tooth infections. Normally, cavities are caused by deposited bacteria that cause the tooth enamel to wear off. For dental crowns, the bacteria cannot infect the tooth due to the porcelain cover.